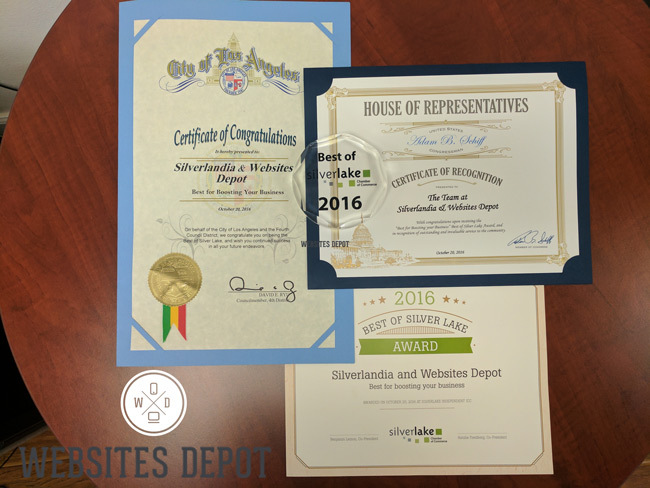 L.A. web agency Websites Depot has collected several more awards and honors in 2016, having been recently named as “The Best at Boosting Your Business” by virtue of a public vote in their local community. 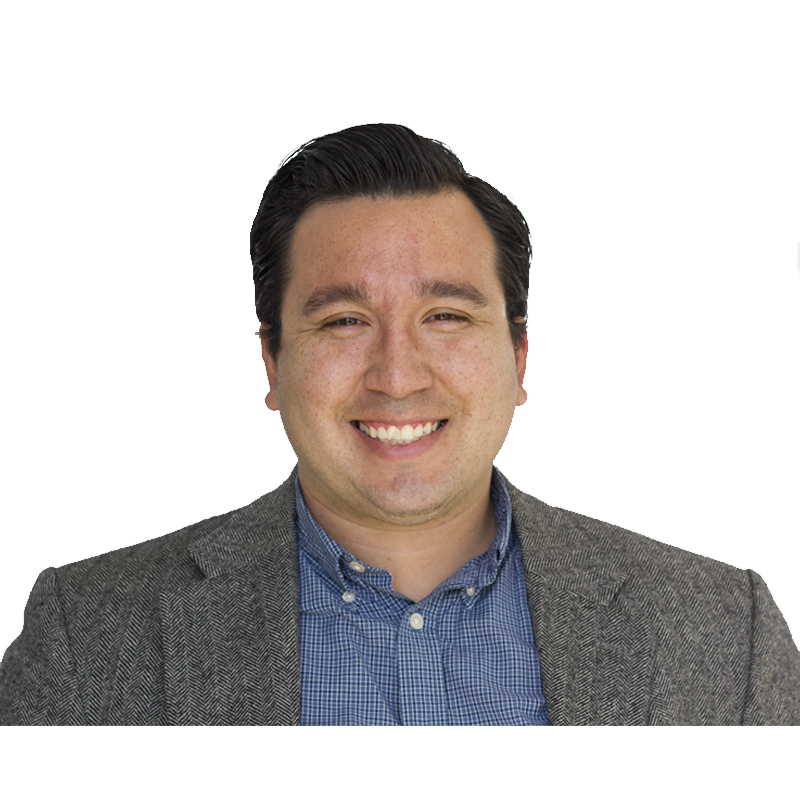 The honor was announced by the Silver Lake Chamber of Commerce, who awarded the agency with signed certificates of recognition by L.A. City Councilmember David Ryu and U.S. Representative Adam Schiff. The Google Partner agency, based in the trendy Silver Lake neighborhood in Los Angeles, has worked with neighboring businesses on their pay-per-click campaigns, search engine optimization (SEO) and designing business-grade websites. Although their team is keen to helping their surrounding businesses grow, the group has been receiving an ever-increasing number of inquiries from around the country and abroad. In 2016, Websites Depot has built, maintained and marketed web sites and social media accounts for businesses in New York, Florida, South Carolina and Europe, among other regions. Their client list consists of a wide and diverse set of industries such as law firms, mechanics, construction, demolition, medical, dental, and financial firms, just to name a few. Though not tailored to any niche in particular, the hired experts at the agency take time to research their partners, the competition, and apply strategies through highly-specialized web work. In addition to the other local and national accolades earned in 2016, Websites Depot has been recently listed as a top creative agency in Los Angeles by Agency List: a prestigious national directory of creative firms in the United States. 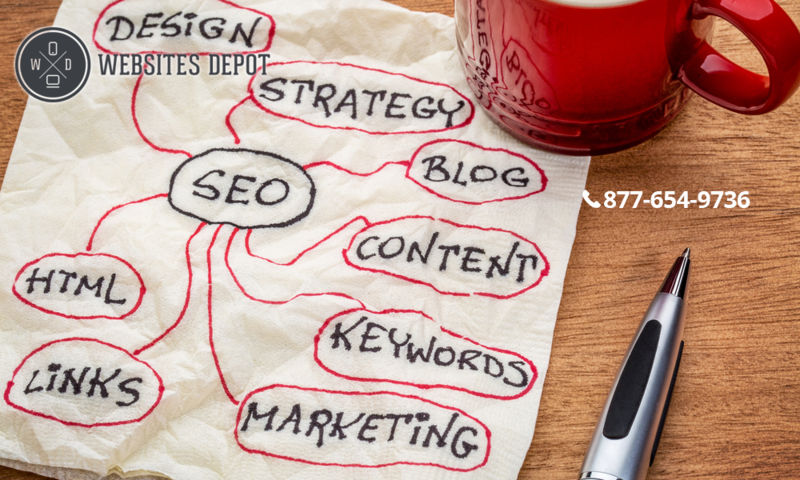 The Agency List in Los Angeles names Websites Depot as one of the top companies specializing in SEO. In order to be retain it’s Google Partner Certification, an agency must adhere to Google’s best guidelines and practices for performing search engine work for clients. As a result, Websites Depot is certified to manage paid ad campaigns such as AdWords, YouTube, mobile ads, as well as set up and run Google shopping accounts.